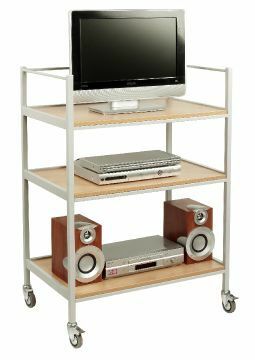 Audiovisual trolley with 3 static shelves that is complete with rubber wheels and 3 different frame colour options, Blue, Red or Grey. Available for a free UK mainland delivery within 2 weeks from order. Tops available in Grey or Beech. 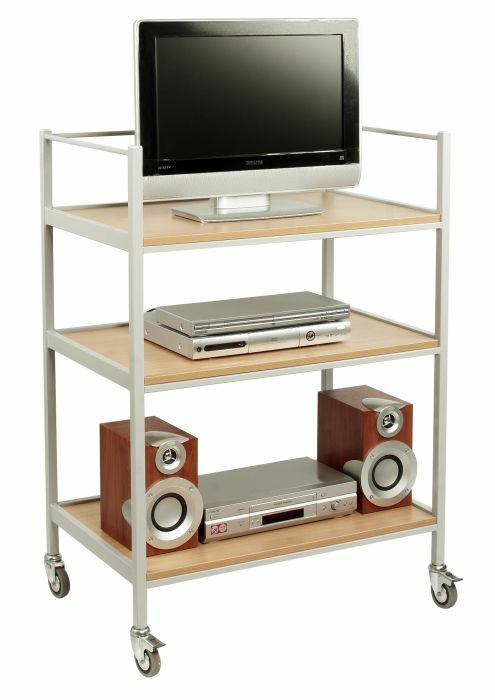 These trolleys are available with 4 rubber wheel castors, 2 of which are lockable and features a fully welded frame that is available in Blue, Red or Grey. The tops are available in either Grey or Beech and are available for a free UK mainland delivery within 2 weeks from order.